PAI-PAI lounge chair with ottoman, as shown, platinum white fabric with dark grey piping and black stained solid wood legs. 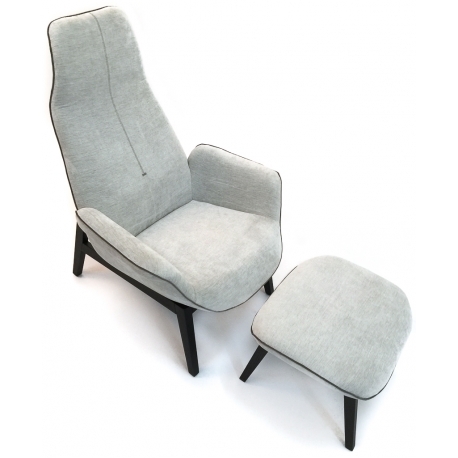 An ergonomically designed chair with high level of seating comfort, coupled with remarkably soft and fine fabric that invites you to sit back and relax. Its classic and clean visuals make it versatile and fitting to any interior. The product is available in citrine yellow or can be customised into other fabric or colours. For more details, please contact us or visit our showroom.